We’re starting a revolution, are you in? What are we talking about? We’re talking about a revolution, a revolution in toweling, don’t you know? The tables as they say are starting to turn and terry cloth is losing out, finally. More and more people are coming to know and love the soft refined feel of a flat weave towel. Our Belgian Waffle towel has been converting people to the cause since 2013 when it was first added to our line-up, not long after we had made an impassioned plea to garner support for our then burgeoning revolution. But we’re not about to rest on our laurels. Even though this classic Mungo towel has served so well, improvements can be made. 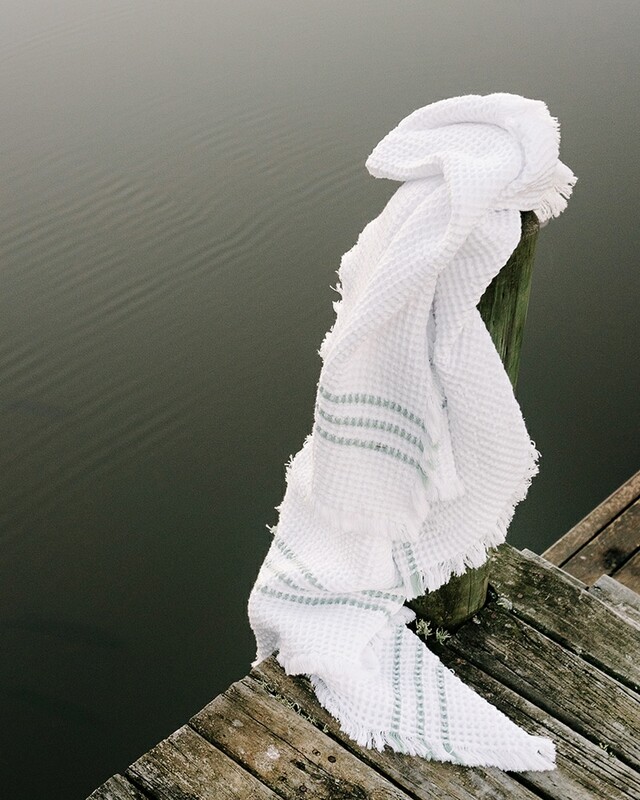 To this end, Lenore was tasked with updating one of our most loved towels. But how to improve on an already great design? Lenore started by dramatically increasing the size of the towel, the new Belgian Waffle is much wider and longer than its predecessor. 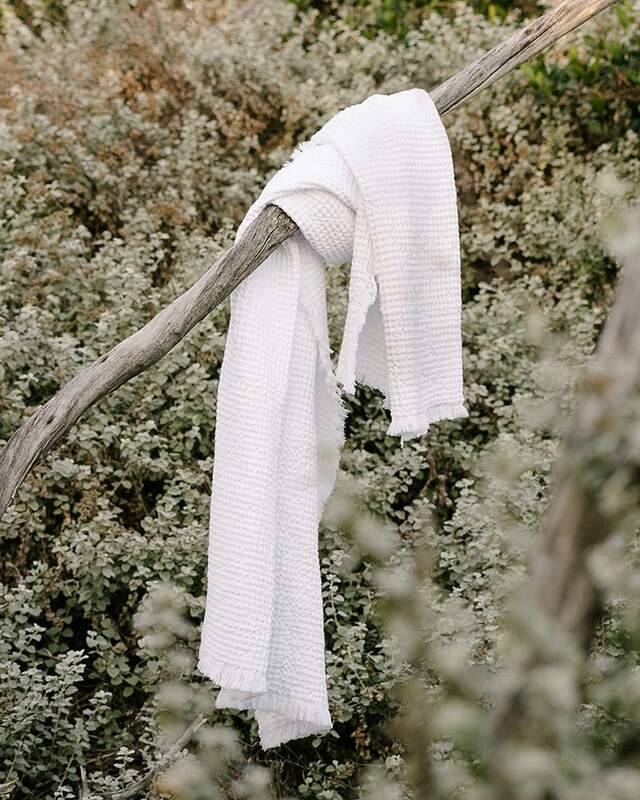 With its open weave and being made of a natural fibre, this towel will shrink somewhat during its first few washes, but with its new more generous proportions, it will always remain a larger than average bath sheet, perfect for wrapping up in. Of course the towel still uses the classic Waffle weave. Have you ever poured melted butter and honey onto a fresh hot waffle? If you haven’t you should, it’s the definition of mouth-watering. Notice how the topping pools in the pocket-like structure of the waffle? Well that’s exactly why the waffle weave makes for good toweling. The individual pockets expose more yarn to the water on your skin, soaking it up more efficiently. Science! Fabulous lashes are so hot right now? Come to think of it, killer eyelashes have never not been in. From Sophia Loren to Kim Kardashian, long luscious lashes are a must. So our Belgian Waffle towel now sports an extra length eyelash fringe on all sides. The full long frayed fringe adds a fullness and you’ll be forgiven for thinking you’re drying yourself with a blanket. 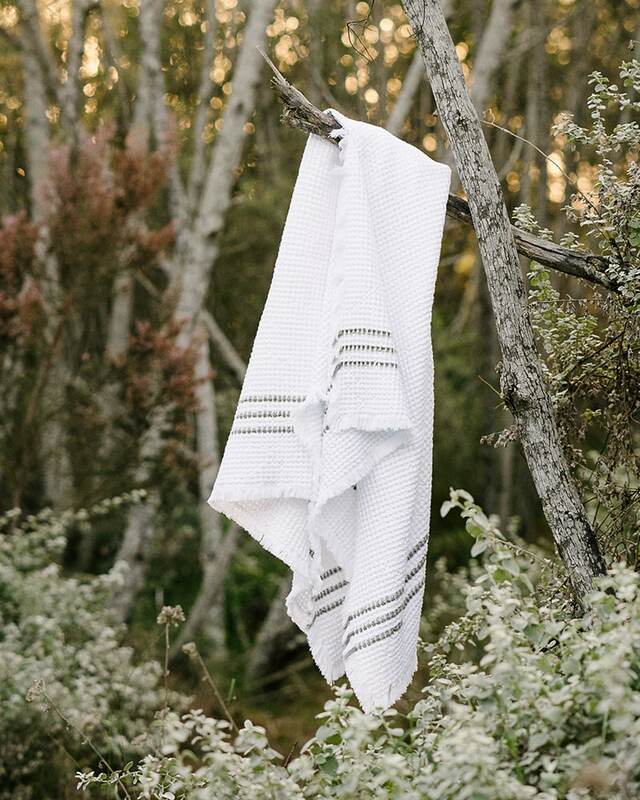 Warm and inviting, we’re particularly enjoying using this towel this winter. The charcoal Belgian Waffle towel, show off! Along with the plain white and old favourite, charcoal, we’ve also added an all new colourway, the beautiful Duck Egg. Let’s get technical for a moment, you know we’re weaving nerds here at Mungo, so I’m going to throw some facts out there. To achieve an eyelash fringe on all four sides that won’t continue to fray and that has a solid hem, Lenore used a ‘mock leno effect’. A leno weave involves twisting two warp yarns around the weft thread, which creates strength and allows for an open construction. We think the new updated Belgian Waffle towel is more beautiful and functional than ever before. What do you think? 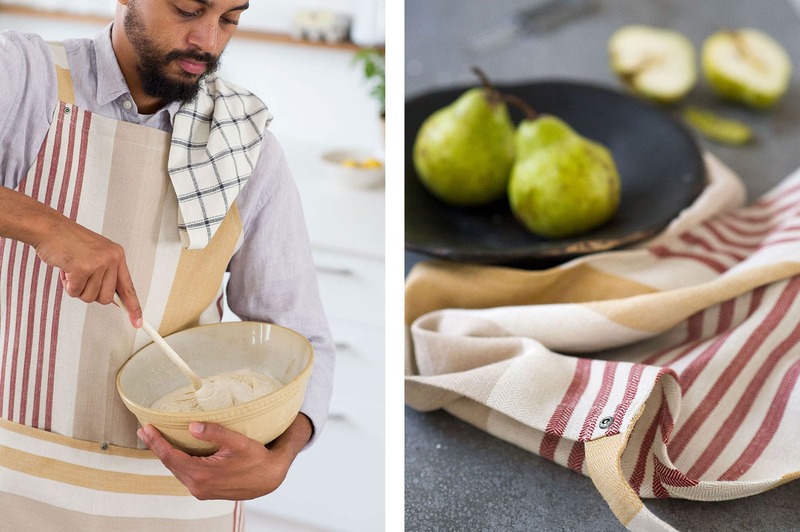 Purchase your very own Belgian Waffle towel online & we’ll deliver it to you asap. Posted in Products and tagged bath towels, beach towels, cotton, flat weave towels.